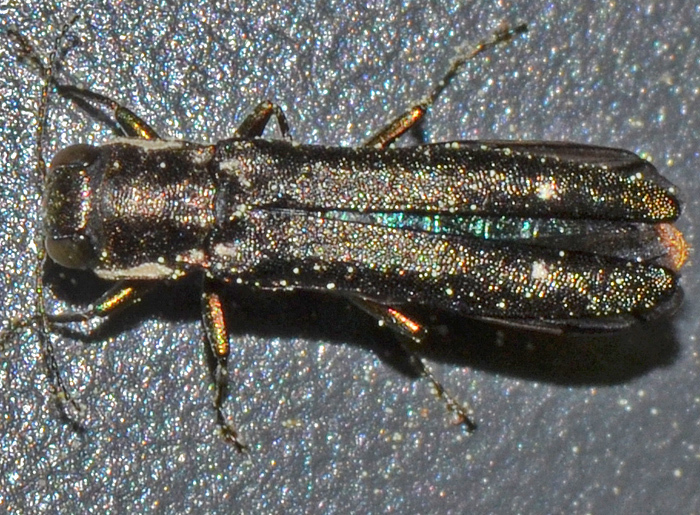 Most species of Agrilus are wood borers. It is one of the largest animal genera in the world, with 174 species in North America and almost 2900 species worldwide. 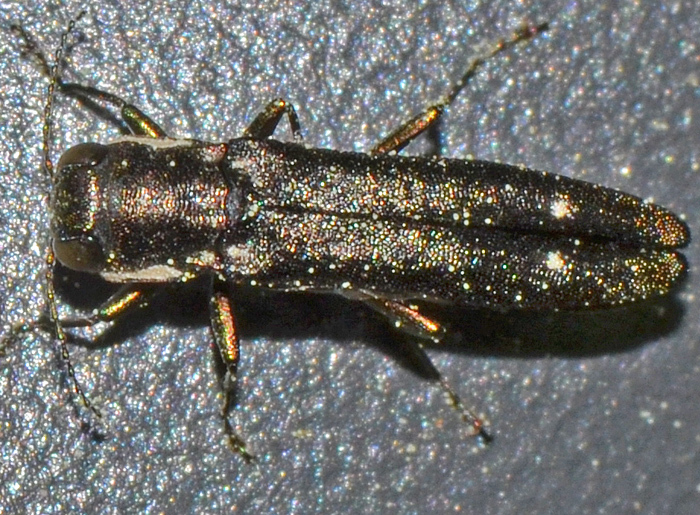 This one has two white spots near the inside edges of its black wing cover but I highly doubt that it's the feared, invasive oak splendor beetle. I found this specimen on my black pick-up truck.